HR Avatar - Who you are speaks so loudly I can't hear what you're saying. 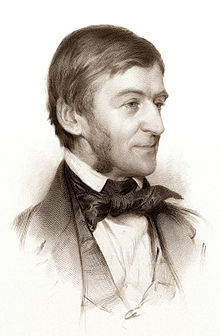 Ralph Waldo Emerson's famous quote is as accurate and meaningful today as it was back in the 1800's. Many of us know it in it's more generalized form: actions speak louder than words. We believe this quote indicates that Emerson, it turns out, had good instincts about how to get the right people working for him. We also seem him as an early proponent of simulation-based assessments. We see the same thinking in the principles of effective hiring. For instance, the universal maxim that "past performance is the best predictor of future performance" implies that a candidate's previous actions are the best predictor of what Her or she will do in the future. Additionally, we all know that the best resumes provide the performance facts in a concise and easy to read format. From these principles, we derive the principles of behavioral interviewing: tell me about a time in the past where you did X? Time and research have proven that this approach is highly effective. We can also derive a basis for using simulations in hiring from this kind of thinking, since a simulation is a opportunity to create some past performance -- to show what you can do and how you will do it. That's why virtually all effective simulation-based assessments implement job-related tasks as part of their process.